At CTCA, I can focus on what I love: keeping patients at the center of their care. 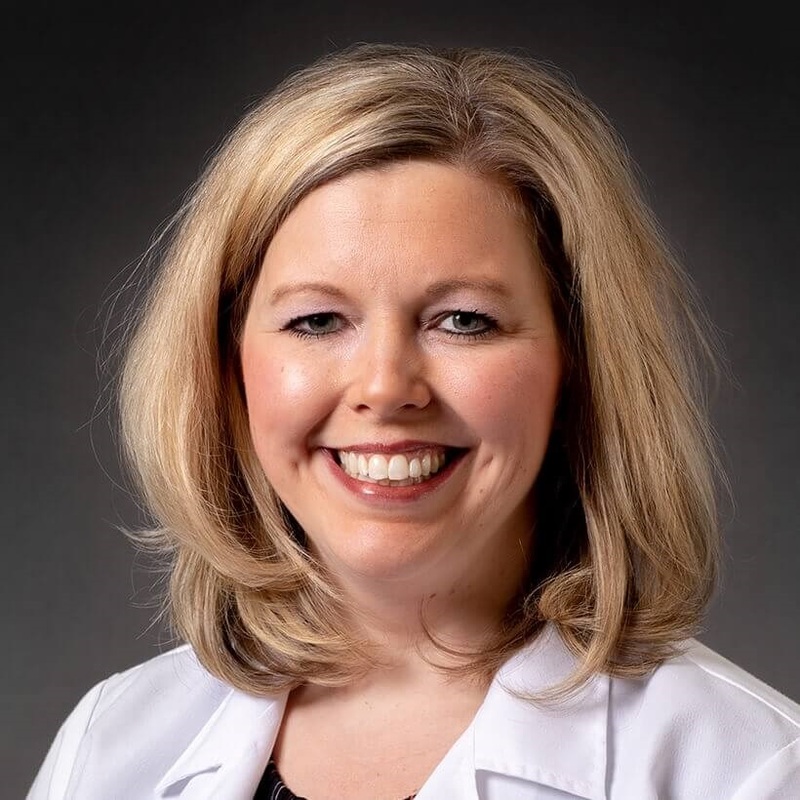 Heidi Larder brings more than a decade of nursing experience to her work as Nurse Practitioner in Medical Oncology at Cancer Treatment Centers of America ® (CTCA), Chicago. She is dedicated to providing optimal, evidence-based, patient-centered care. A love of offering such care brought Larder to nursing as the first step in her career. She was working as a nurse’s assistant at a large medical center in Illinois while completing her initial associate’s degree in nursing at the College of Lake County. She first joined CTCA® in 2005, serving as an inpatient nurse while earning her Bachelor’s in Nursing at Olivet Nazarene University. She continued her training there, completing her Master’s degree in Nursing in 2008 with an emphasis on education. At that time, Larder transitioned to Survivorship Support at CTCA, counseling and educating patients after treatment completion. Later, she returned to inpatient nursing at CTCA, this time with the Surgical Oncology Unit. In 2015, after completing certification as a Family Nurse Practitioner at Concordia University, Larder became Nurse Practitioner in Medical Oncology at CTCA. Larder is dedicated to education, both her own and others. She served as adjunct clinical instructor at Chamberlain College of Nursing from 2012 to 2014. She led a journal club at CTCA, providing an opportunity for clinicians to review and discuss the latest treatment advances. She is a member of the Sigma Theta Tau nursing honors society, the Oncology Nursing Society, and the American Holistic Nursing Association. She is a Certified Nurse Practitioner through the American Association of Nurse Practitioners. She also holds certification in oncology nursing and holistic nursing. When she is not caring for patients, Larder can usually be found with her husband and their four children, spending time together with family and friends.